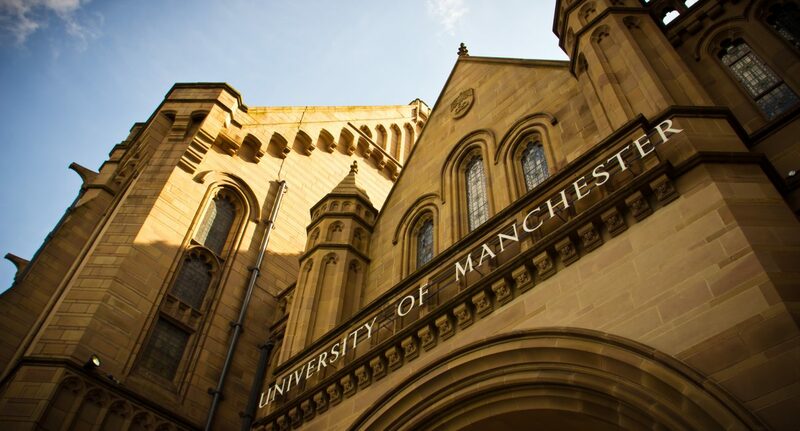 Good Evening, and welcome to The Mancunion‘s live blog of the University of Manchester Students’ Union Senate meeting for March 2019. Policy proposals for this month’s Senate include Trans inclusion sport, the SU providing a changing space and whether or not the SU should continue to fund The Mancunion. Earlier, we broke the news that The Mancunion‘s editorial independence could be threatened by an amendment tabled by SU Liberation and Access Officer Sara Khan alongside the Liberation and Access Committee. Be sure to check back for live updates of all the night’s events! Three positions are now vacant on the Student Trustee Board, and applications can be submitted online, via the Union website. Jack Swan has proposed this policy, highlighting that Manchester Metropolitan University (MMU) is already accredited with the scheme. Swan says that he believes that MMU has explored the possibility of alcohol-free halls, as part of the scheme. This policy has been approved, with 95% voting in favour. Emma Jenkins is tabling her second policy proposal of the evening, calling on the Students’ Union to support her group for domestic and sexual abuse survivors. The policy has been approved, with unanimous support. This policy proposal has been proposed by Emma Jenkins, a student representative. The policy has been approved, with 100% voting in favour. The third policy proposal calls for the Freshers Fair to be made more accessible, and has been proposed by the Liberation and Access Committee. The policy has been approved, with 95% voting in favour. The 2nd policy is now being debated, which calls on Senate to guarantee the funding of the Mancunion for the next three years. A single amendment to this policy has been proposed. It has been submitted by the Liberation and Access Committee, and calls for a quota of 45% BAME students to be applied to the editorial team, alongside the introduction of a sensitivity editor to review articles that the newspaper publishes. The first amendment has been rejected, with 71% voting against it. The policy has been approved, with 84% voting in favour. The funding for the Mancunion’s printing has now been ringfenced for another three years. The Liberation and Access Committee argues that a transphobic attitude has arisen among university sports teams. The policy calls for lobbying of the union for the inclusion of liberation representatives on teams, and offer gender-neutral sporting alternatives. The Armitage and Sugden sports centres both have binary changing rooms, argues the policy’s proposer. An opponent of the policy argues that there has been no reported case of a trans individual having been excluded from sports teams. The policy has passed, with 84% voting in favour. Mancunion Deputy Editor Amy Wei has argued that the Mancunion re-funding policy proposal should be moved from tenth to second on this evening’s agenda. The procedural motion has passed overwhelmingly, as a vote of hands shows. The policy will now move up to second on the agenda. Chair Adam Rogers has submitted a constitutional proposal, which would amend Senate Byelaws, to allow voting by hands, instead of electronically. Rogers has said that this would speed up meetings. An acting chair has been nominated, to allow Rogers to submit his proposal. The proposal has been approved, with 71% voting in favour. A part-time Trans officer is fielding a question to Sara Heddi over the representation of blocs at this year’s Reclaim the Night. They claim that this year’s event had more general blocs, and that smaller and more specific factions were not properly supported. Heddi replies, arguing that every bloc was given representation by the official channels if requested. Controversy has arisen over Heddi’s organisation of the march, with some saying that it should have been in the hands of students and student groups. The committee has decided to hold a vote on whether the General Secretary should write to the Returning Officer at the National Union of Students (NUS), and request that the election of the General Secretary and Postgraduate Officer-elect are annulled and that nominations are re-opened. The vote has passed, with 80% voting in favour. City Centre Community Officer Guilherme Lopes is giving his statement, expressing displeasure that a motion of No Confidence will not be discussed at this evening’s meeting. He makes clear that while he disagrees with the General Secretary’s decision to not allow the motion to come under the Senate’s scrutiny, he understands the legal factors behind it. He further says that six of the eight elected earlier this Month “have an asterisk” by their name, due to their controversy associated with the election of the General Secretary and Postgraduate Officer. He declares that if these two do not commit to their role, they will face a No Confidence vote from Senate. General Secretary Fatima Abid is outlining the Steering report, which scrutinises possible policies to ensure they are feasible if passed. This includes a motion of a vote of no confidence in the General Secretary-elect and Postgraduate Officer-elect, which has been rejected, after debate over the interpretation of union laws. It has been made clear that the Students’ Union does not hold the power to annul election results. This power rests with the Independent returning officer. The General Secretary said that it was heavily debated whether or not officer-elects can be no confidenced. The General Secretary has outlined four possible options for students frustrated by the election results. One includes waiting for the officer-elects to actually take up their roles, and then tabling a motion of no confidence against them. The second includes tabling a motion of no confidence against the independent returning officer due to their decisions. The third option is to ask the independent returning officer to annul the election. Fourthly students can write to the university. The chair and other members of the committee are running attendees through the standard procedure for this evening’s Senate, including re-affirming that British Sign Language Clapping, or finger snapping, will be used.